The NITA Learning-by-Doing method is the most effective way to practice, learn and retain the advocacy skills used throughout one’s legal career. Comprised of lawyers, judges, professors and consultants from around the nation, the NITA faculty brings a wealth of experience and knowledge to every program and provides participants immediate feedback on their performances. In addition to undoubtedly being a better lawyer after completing the program, participants will be learning alongside potential colleagues and referral sources from across the country. Brought to you in an entirely new format, the 2012 National Session is like never before. Though the program will still take place in beautiful Boulder, CO and continues to bring in the very best and brightest NITA faculty members from across the country, the programming within this year’s National Session is groundbreaking. For the first time the National Session will be led by Program Director Ben Rubinowitz, prominent New York City attorney, NITA Trustee and member of the Inner Circle of Advocates. 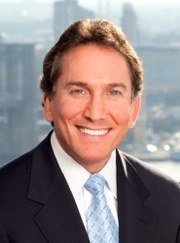 In addition to the group of highly experienced practitioners, professors and judges being brought in to teach Rubinowitz has also assembled a team of NITA’s communications experts Marsha Hunter and Brian Johnson of Johnson Hunter Inc. and jury selection/focus group experts Mary Ryan and Bryan LeRoy of the Portia Group. To signify the end of the first “half” of the program you will conduct a bench trial. In the days immediately following the bench trial you will go through intensive workshops on jury selection, including the use of focus groups. Before your presentations you will have a chance to see demonstrations of experienced lawyers conducting focus groups and performing open jury selection. These workshops will also be videoed giving you the opportunity for video review with faculty. Other than NITA’s Advanced Trial Program this is the only place these courtroom simulations are offered. The program finishes with you performing full jury trial, once as counsel and once as a witness. After the trial you’ll get to watch real jurors deliberate via closed circuit TV, and upon hearing their verdict, have a chance to ask them questions and hear their feedback.